In this environment of low oil prices, many companies are taking the opportunity to re-evaluate how they develop and assure competency. Companies spanning the Oil & Gas vertical have long struggled with processes that more efficiently meet PSM, SEMS and DOT requirements for proving and maintaining competency qualifications as a matter of regulatory compliance. Key Safety is partnering with a unique technology provider to bridge a functionality gap for skills verification. The proprietary technology is designed to significantly improve workflow efficiency at the field level by allowing for task-oriented templates to be developed in an easy drag and drop fashion to capture real-time data across the enterprise. No need to be an IT programmer and it is immediately available for use across an enterprise using a diverse platform of intrinsically safe devices: laptops, tablets and smart phones. The beauty of the inherent design and flexibility of the application to rapidly automate the critical workflows (e.g. 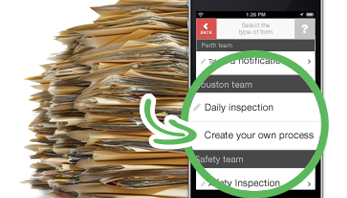 Safety Audits, Pipeline Inspections, Operational Rounds, Procedural Qualifications) also make it ideal for structuring field-skills verification templates. Each competency verification task-set can begin with the ability to present learning media (e.g. YouTube, training videos), followed by step-by-step skill-based checkpoints, complete with photo verification and witness signature capture. Companies not only have the ability to present skill development exercises in a consistent standardized fashion across the enterprise, they can now rapidly build easy to follow and replicate best-practice methodologies. This includes capturing and integrating visual aids such as photos of potential risk. It is cloud based and can operate in stand-alone fashion or integrated with learning management and/or ERP enterprise systems. This is a must have technology for companies wanting ‘nuggetized’, smaller chunks of learning content (in various modalities) coupled with the ability to quickly apply that new knowledge in a skills development/application and validation capacity. There are many content development companies scrabbling to develop 3D training and gaming avatars, but we have not seen any technology to date that easily addresses the critical skills development and validation component required to truly form and change behaviors. This technology delivers….contact us for us a demo.